We are proud to announce we have been featured in this month’s addition of Global Banking and Business Magazine. 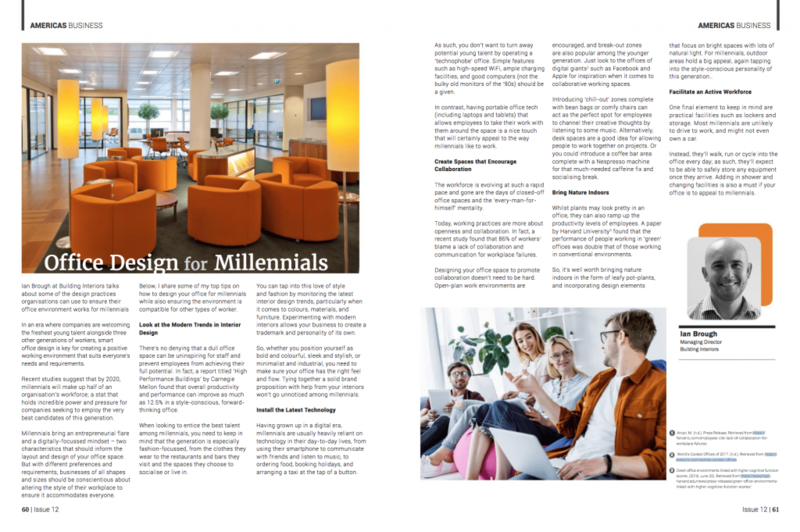 We lent our expertise and explained the best design practices organisations can use to ensure their office environment works for millennials. Office optimisation and ensuring your space works for you and your employees is becoming ever more important to businesses. To find out how we can help you fully optimise your office space for your team, get in touch today.